Adult Group Services provides group counseling for anxiety, depression and anger management. 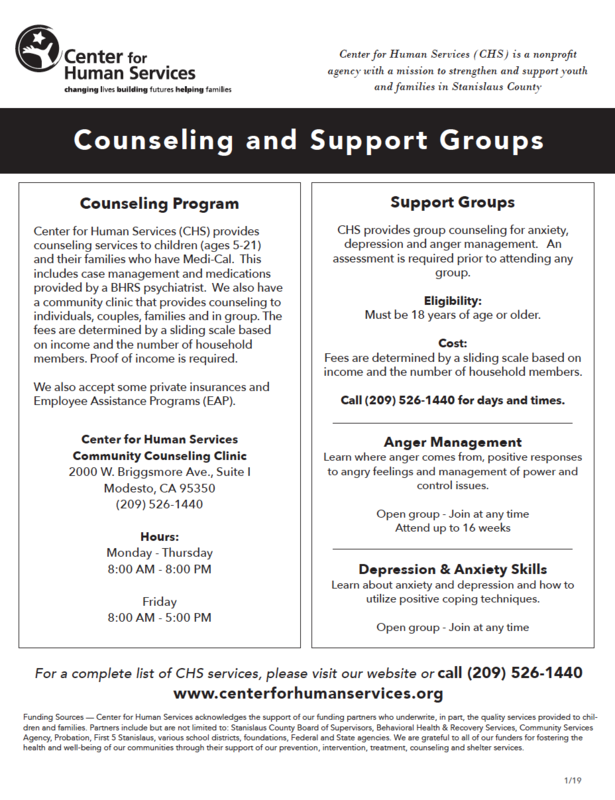 Download our Counseling and Support Groups Flyer (PDF) or click on the image below. Adult Group Services are provided in our Sliding Scale Fee Clinic. Sliding Scale Fee Clinic groups include Adult Anger Management, Teen Anger Management, Anxiety and Depression and Mindfulness Skills. Groups range in size with a maximum of 8 members attending. Groups are held weekly. Fees are determined by a sliding scale based on income and the number of household members.